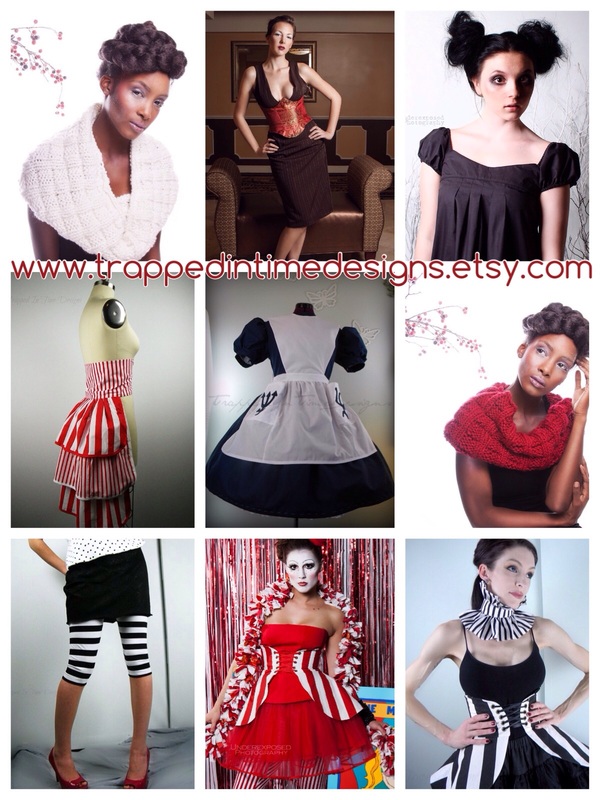 This week’s featured shop is Trapped in Time Designs! This shop is packed with incredibly breathtaking apparel. Each item is extraordinary in its own unique way. Trapped in Time Designs is owned and operated by Mairi. Her shop name stems from her love of all things vintage, retro and old. She has a natural talent and deep love for fashion, sewing, and costume design. You can see the passion and attention to detail in every piece that fills her shop. She creates her lovely apparel on vintage sewing machines in her home studio. This shop offers stunning costume and fashion apparel to fit most any occasion. You can find corsets, bustiers, skirts, peplums, bustles, shirts, dresses, tunics, leggings, pants, hand knits, accessories, and full costumes. Along with everything you’ll see in her shop, Mairi also takes custom orders.